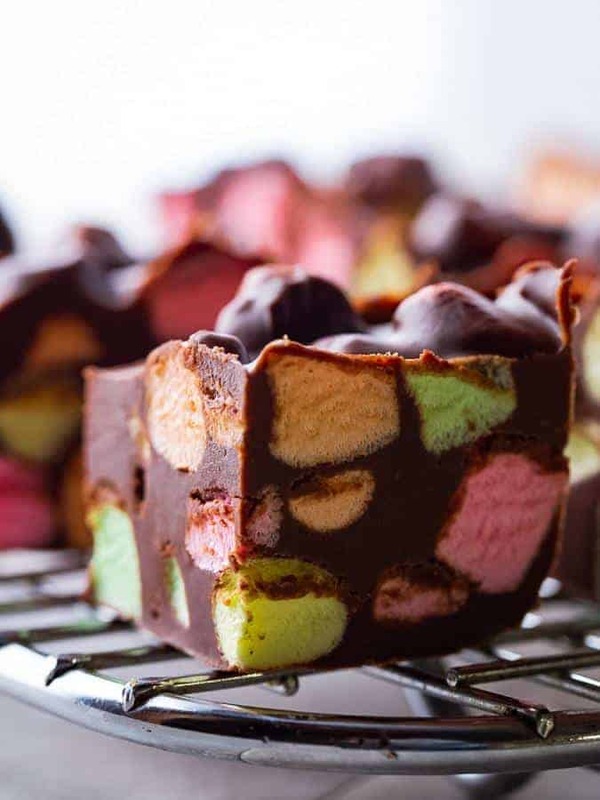 These marshmallow peanut butter bars are an easy—and tasty—treat to make for Christmas. 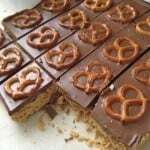 Turns out, they’re called “Church Window” bars. 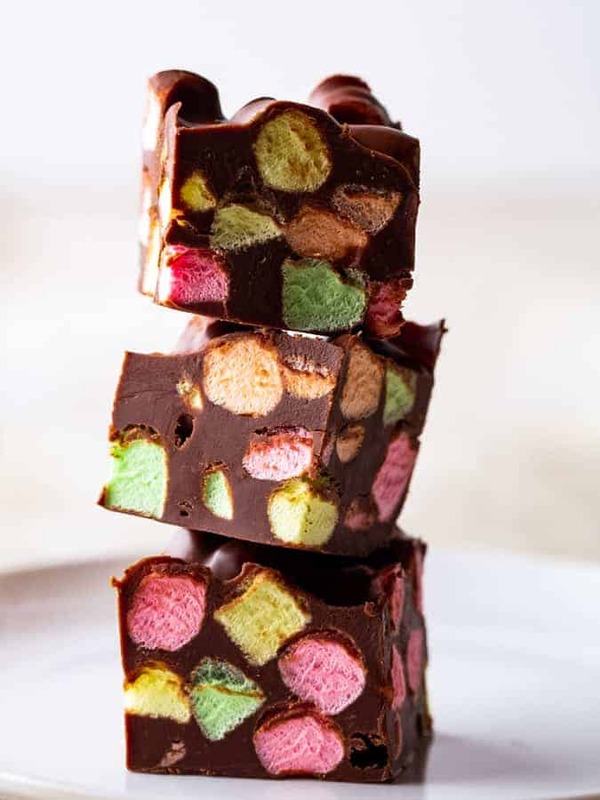 And, like most retro-recipes, there’s lots of ways to make them. The bones of the recipe call for chocolate and marshmallow. Then, some call for coconut, while others use peanut butter. Since I love peanut butter during the holiday season (especially peanut butter blossom cookies), I decided to try the peanut butter variation. 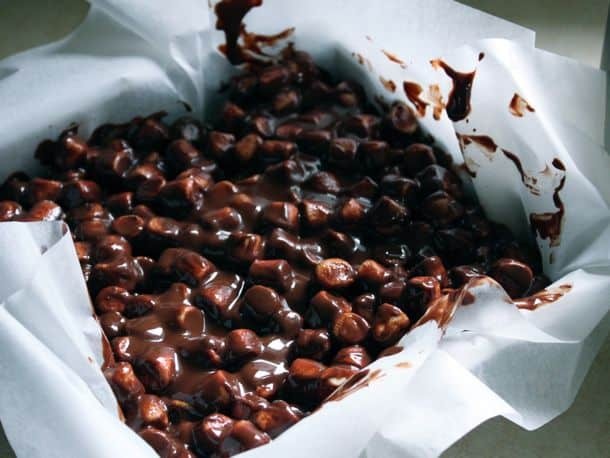 Turns out, these classic no-bake bars are really simple to make. 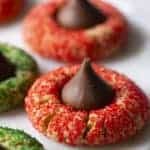 Since they are just chocolate, peanut butter, and marshmallows, I consider them a confection and not a cookie. I worried how the fruit-flavored marshmallows would work with the peanut butter. The combination works great— think of them as a fun take on peanut butter and jelly. 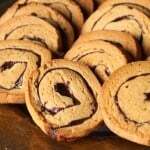 To make, combine chocolate chips, peanut butter, and butter in a heavy-bottomed saucepan. This is key. If your pan is too thin, the chocolate can scorch. Allow the chocolate mixture to cool a little. If you don’t the marshmallows will melt when you add them to the sauce. After a few minutes, stir in the marshmallows. Spread the mixture into a parchment-lined 9x9x2-inch square pan. Chill. Love Peanut Butter? Here are other gluten-free treats to try! 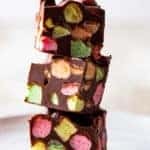 I like fruit flavored marshmallows for this recipe. Feel free to use plain vanilla marshmallows if you prefer. Line a 9x9x2-inch pan with parchment paper. 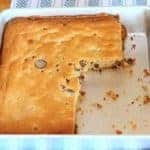 In a small heavy-bottomed saucepan, combine chocolate chips, peanut butter, and butter. Turn on heat to low. This is important. You need to treat this sauce gently or it might scorch. 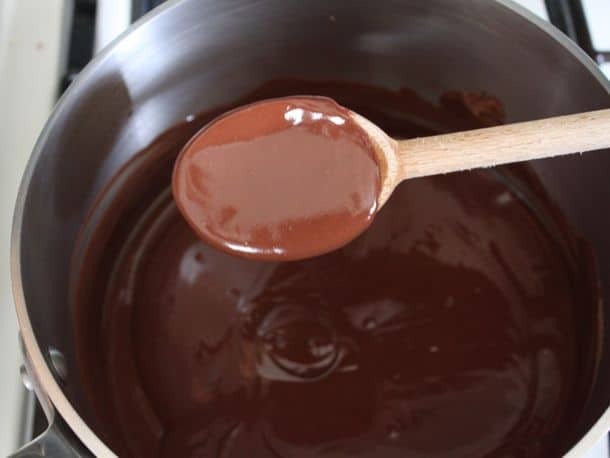 Stir with a wooden spoon or heat resistant spatula until ingredients are melted and smooth. Sauce should be shiny. Remove pan from heat. Allow to cool for two minutes. 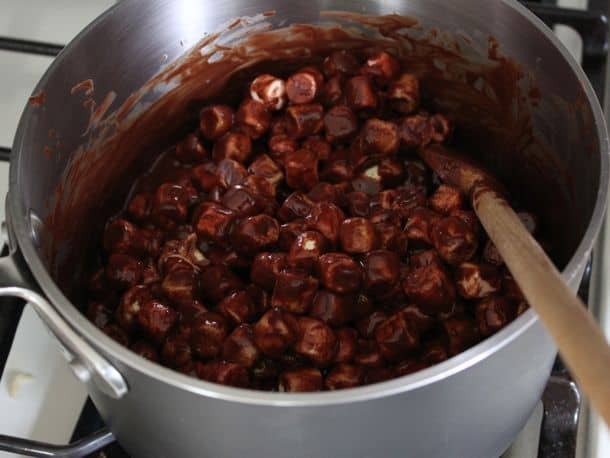 Stir marshmallows into cooled chocolate mixture. Spread mixture into prepared pan. Serve or store in a sealed container.